After 19 days at sea, 700 Dakar vehicles have been delivered to the port of Campana, Argentina bringing the race one big step closer to full readiness. 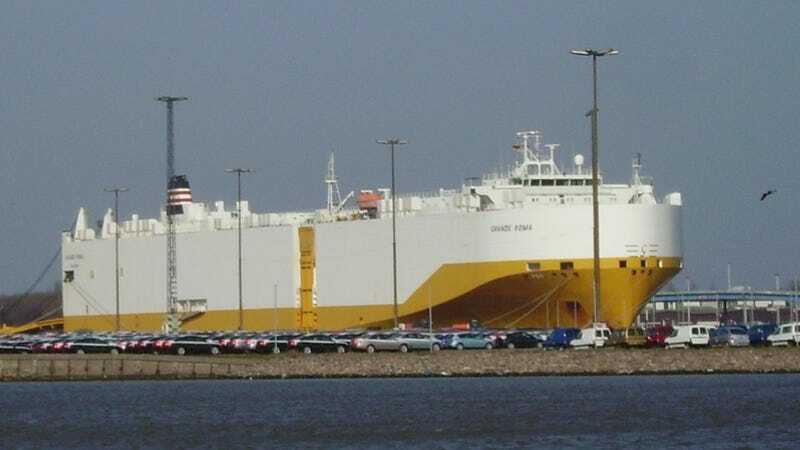 Cars, trucks, motorcycles, buggies, and a heap of journalist's minivans were transported across the Atlantic and unloaded from the Grande Roma; a 44,000 ton vehicle carrier that looks like a giant white turd. The ship left from Le Havre in northwestern France, and reported no incidents during the trip. Dakar officials discovered a few flat tires and dead batteries while unloading the rigs, apparently a "recurring problem." Everything was eventually unloaded and must now remain at the port until December 31st, at which point Argentinian security will release them to their respective teams. If you're interested in what the next car-carrying adventure of the Grande Roma will be, you can track it in real time.